During a recent presentation, I was asked how the interactive plots for several process models were generated. The details of the models can’t be discussed, but the graphing technique can. In the following “rpanel” example, the proprietary process equations were replaced with typical Lotka-Volterra (LV) equations. From the code below, when the panel is active, the LV differential equations are integrated from the initial conditions over the full time period. The slider bars are used to vary the model parameters. 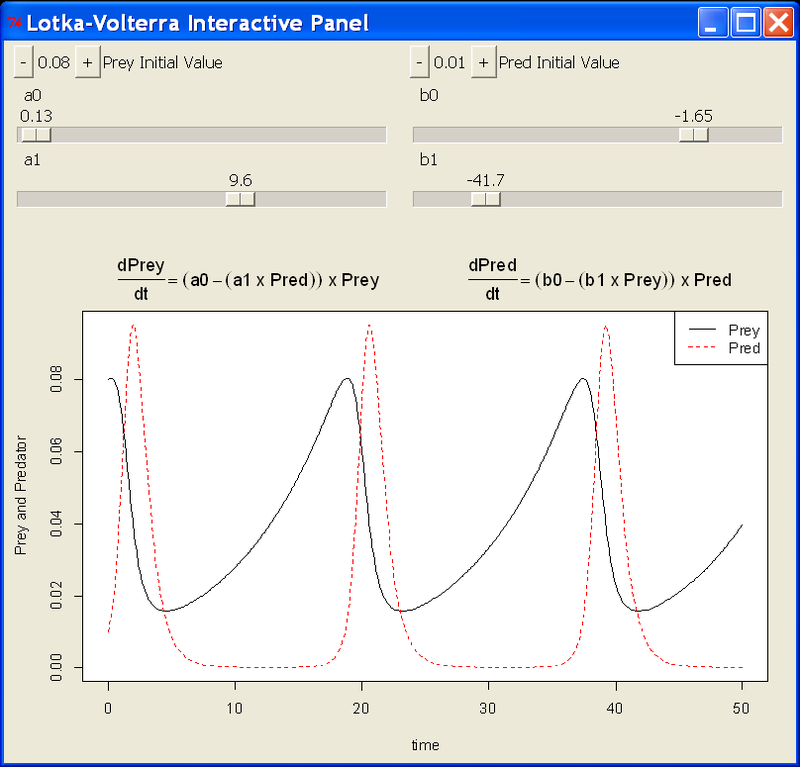 The code can easily be modified to provide interactive plots of all types. library(deSolve) #Load package deSolve to integrate the initial value equations. #can be changed by sliders in the Interactive Panel. #the plot can be drawn.